Conditioner free of salt, sulfates, parabens and gluten. 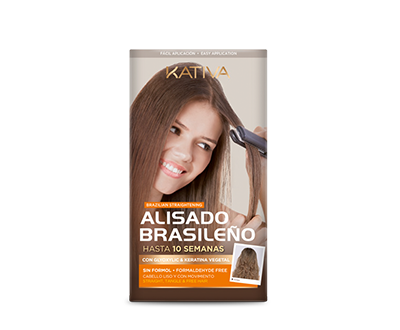 With Vegetable Keratin, Organic Argan Oil and ActiLiss. 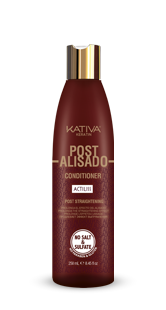 Helps to prolong the straightening effect for longer, and at the same time, repairs hair that has been sensitized by chemical and mechanical treatments, leaving it straight, silky and soft. ActiLiss: exclusive Antifrizz action component and with Moisture Resistance Factor (FRH) that at the same time prolongs the straightening effect. Helps to prolong the straightening effect for a longer time. 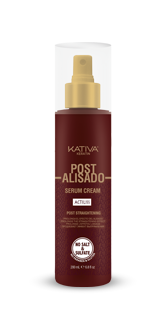 Repairs hair that has been sensitized by chemical and mechanical treatments. Leaves hair straight, silky and soft. Apply to damp hair, from the middle to the tips. Leave on for 3 minutes and rinse with plenty of water. 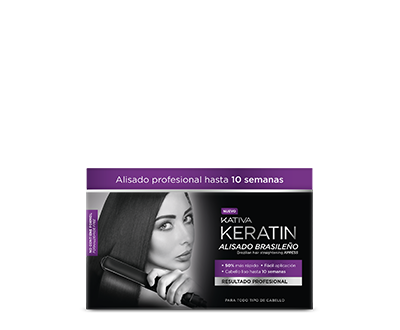 Recommended for hair with straightening treatments. 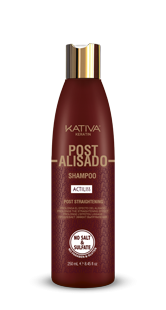 To achieve better results, we recommend using the entire line of Kativa Post Straightening products.